Low list price. Generous kit and performance for the money. Tidy handling. Roomy interior. Extensive personalisation options. Hugely improved with up to date interior in 2018 facelift. Petrol-only. 2012-2018 interior quality average. Slightly clonky suspension. No longer assembled in UK. MG Motor UK's post-2008 relaunch was a slow burner - with the TF roadster selling in dribs and drabs between 2008 and 2011, and the MG6 continuing in the same vein. With the arrival of the 3, MG is looking for genuine growth, as well as an increase in visibility. The good news is that the UK-designed MG3 has plenty of showroom appeal, thanks to a sensible spead of models spanning £8399 to £9999, which are available in a myriad of appealing colours and external graphics options. 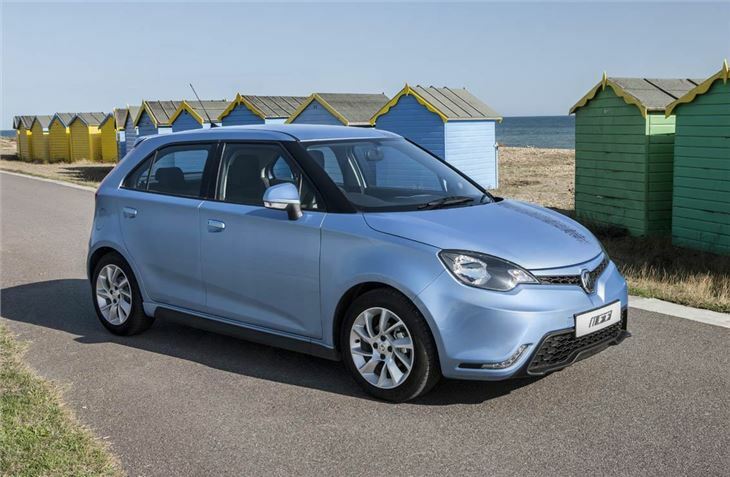 When cost comes into the equation, and the MG3 is viewed as an overall package aimed at real people with more modest budgets, it's near compelling. Because at this price point, the combination of generous kit and 106PS engine, it's difficult to find any rivals to put it up against. For younger buyers, the cheap insurance is also a big attraction, bringing a warm-hatch to within their reach. MG Motor UK's dealer network grew from around 30 initially to 80 by mid 2018 and is expected to reach 120 by 2020. Overall, the MG3 is a likeable addition to the market that's quick, stylish and cheap - it's not perfect, but at the price, you can more than forgive its faults.